Awestruck is a look you will see on many people’s faces after they have watched a Shen Yun performance. Though they have seen the advertising, or have had Shen Yun recommended to them by friends, what they experience often comes as a surprise. New York-based Shen Yun’s 13th season is fully underway, with all six of its 80-member touring groups presenting traditional Chinese culture to audiences in the United States and around the world. New cities have also been added to the itinerary, as well as more performances added to the world’s major cities like New York, Paris, and Berlin. This year’s production debuted in California on Dec. 12, an early start to the season for the arts company that rehearses and travels with a new production each year. So far, the touring companies have performed throughout a number of states, including California, Massachusetts, Virginia, Texas, and New York. The Epoch Times has attended all performances worldwide and talked to many audience members about the remarkable undertaking of reviving an ancient culture. It was journalist Rita Cosby’s fourth time watching Shen Yun perform when she saw the company at Lincoln Center in New York. 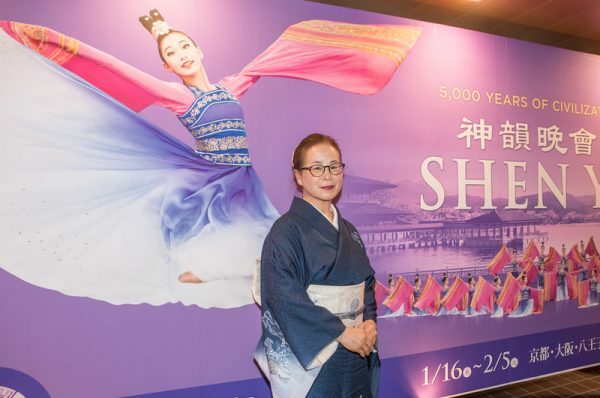 Shen Yun has also begun its 2019 tours of the United Kingdom, Canada, Japan, and France. Shen Yun Performing Arts was formed in America by a group of Chinese artists who came together to revive traditional Chinese culture. Through classical Chinese dance, Shen Yun Performing Arts seeks to impart not only China’s stories but also its spirit and essential nature. 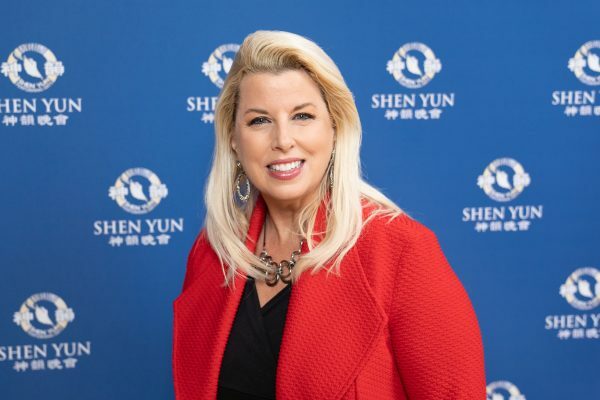 “Every dance embodies and celebrates the virtues that were at the heart of Chinese civilization for thousands of years: loyalty, courage, compassion, piety, and veneration for the divine,” according to the Shen Yun Performing Arts website. 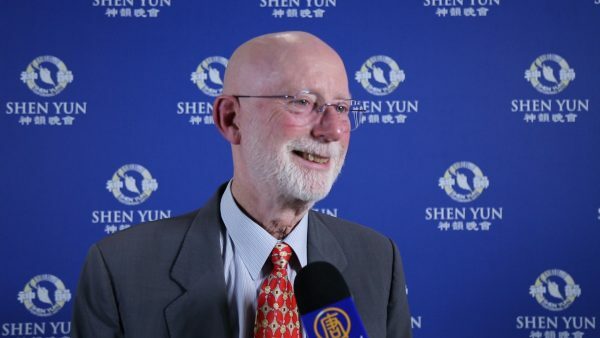 “Shen Yun” translates as “the beauty of divine beings dancing,” and Leo Carruthers, professor emeritus at Paris-Sorbonne University, who specializes in literature and civilization of the Middle Ages, talked about this spiritual facet of many cultures. 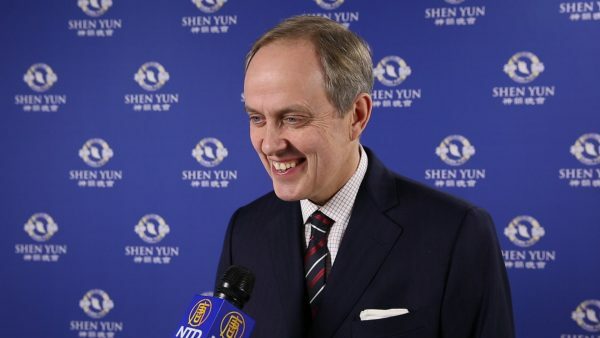 The name “Shen Yun” as well as the spirituality in the performance did not surprise Mr. Carruthers, who said that in many cultures, researchers find the concept that culture, such as languages and the arts, comes from heaven. “And that’s because it speaks to something that’s inside the human being. It’s his spiritual side,” Mr. Carruthers said. Traditional Chinese culture is spiritual. It was built upon the values established by Confucianism, Daoism, and Buddhism, as well as lessons learned over the rise and fall of many dynasties in its 5,000-year culture. But in 1949, the Chinese people were severed from their history and culture when the communists seized power and set out to destroy the Chinese culture and replace it with a communist one. Through campaigns like the Cultural Revolution, the Chinese who upheld their traditional culture were subjected to public humiliation and often death at the hands of the Communist Party. Countless other desecrations and unutterable violations have been committed against the Chinese culture and people by the Communist Party since. Shen Yun does not embody the post-1949 culture, which was installed by a modern political group. Rather, it imparts the authentic 5,000-year-old traditional Chinese culture that had been painstakingly passed down through millennia. 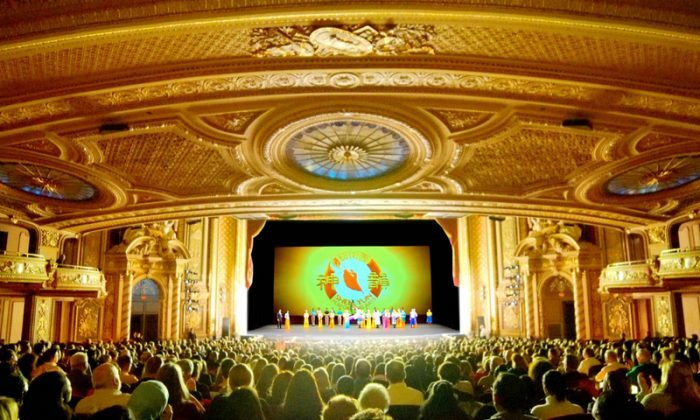 But if the Chinese Communist Party has tried to destroy the tradition and values of the past, it’s only been an interruption, as Shen Yun Performing Arts has made it its mission to revive the ancient culture, bringing forth the values, stories, and spirituality of the Chinese culture once again. Chinese businessman Mike Li saw Shen Yun in Boston. He was moved to tears. “For the past several thousand years, Chinese people venerated divine beings, heaven, and earth. Human interactions were harmonious … and there was harmony between heaven and earth. However, this harmony no longer exists [in modern China],” he said. The Shen Yun dancers also moved Japanese classical dance instructor Midori Tanaka in Japan. Ms. Tanaka also felt something deeper as she watched the dancers. “Today’s experience was truly unbelievable,” Ms. Tanaka said. But it is not just those of Asian heritage who benefit or sense the depth and importance of the culture that Shen Yun seeks to restore. “They were trying to communicate to us a form of serenity, tranquility, a meditation on life and existence,” she said. Shen Yun Performing Arts will return to New York City with the 2019 production March 6–17 at The David H. Koch Theater at Lincoln Center. The company will return to Fairfax, Virginia, and perform March 12–14. Shen Yun will perform in Purchase, New York, March 20–24. And Shen Yun will perform in Washington, D.C., at The Kennedy Center Opera House April 17–21.